Intended Audience: Physicians, ER nurses, respiratory therapists, and advanced emergency medical personnel that would have to function in a team leader role or apply advanced resuscitation techniques for adult patients on a frequent basis. Pre-Requisites: Students must have a working knowledge of cardiac rhythm interpretation, intubation/IV techniques and advanced cardiac skills. Excellent BLS skills are required for this course and BLS Re-Certification can be added on at checkout. This is a challenging course requiring several written and practical exams. Description: The Advanced Cardiac Life Support (ACLS) training course incorporates information needed to apply advanced life support measures, while functioning in a team leader role. All of our classes listed are initial certification courses unless otherwise specified. With BLS as a prerequisite, minimal breaks and smaller class sizes, initial certification is able to be completed in one full day. Intended Audience: Physicians, ER nurses, respiratory therapists, and advanced emergency medical personnel that would have to function in a team leader role or apply advanced resuscitation techniques for pediatric patients on a frequent basis. Description: Designed to aid the advanced pediatric healthcare provider in developing the knowledge and skills necessary to efficiently and effectively manage critically ill infants and children, resulting in improved patient outcomes. These are generally two day courses and students are required to attend both dates. Intended Audience: Those wanting to pursue positions in Emergency Medical Services (EMS) and/or need to work and coordinate with other EMS staff. Firefighters, Police Officers, Security Guards, those interested in the Emergency Medical Services Field (EMS) etc. 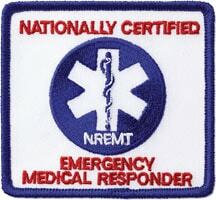 Description: This Emergency Medical Responder course is certified through the Minnesota Emergency Medical Services Regulatory Board (EMSRB) and is designed to train those who could be first on scene of medical emergencies. Recognizing and responding to life-threatening events with: BLS CPR/AED, splinting, patient assessments, backboarding and other initial interventions are covered in this comprehensive course. Pre-Requisites: Students should obtain Basic Life Support (BLS CPR/AED) certification prior to course end date and complete some online tasks emailed in the course confirmation letter. Certification: This course can be taken either in a traditional classroom setting, a blended learning setting (with some online course work required prior to an in-person practical skill session) or on-site at your location by selecting the tabs below. The exact same certification is administered for each type of session. You will have the chance to take both the Minnesota and National certification tests at the conclusion of class (testing fees may apply). Emergency Medical Responders, also known as First Responders, provide immediate lifesaving care to critical patients who access the emergency medical services system. This is an initial course that meets over several days. We also offer blended learning options by clicking the blended learning tab on this page (some online coursework required). Healthcare Professional courses are designed for anyone aspiring to be, or currently working in the medical field. These classes are designed for: Healthcare students, Nurses, Doctors, Firefighters, EMTs, Hospital/Clinic personnel, Dental Workers, etc. Some classes have pre-requisite education requirements while others can be taken by the general public. Looking for classes designed for non medical professionals? Click here for more information.